The current ban on animal testing in the EU (European Union) on cosmetic ingredients, does not mean or guarantee in any way that the perfumes available now in the EU market, don’t contain the ingredients which were tested on animals prior to the ban. A perfume available now in the EU countries, may still contain a large number of ingredients, which were tested on animals prior to the ban. A very few would want to live in a world without the sense of smell. Beautiful scents of flowers, healing aromas of herbs, freshness of citrus fruits, the air after rain, sweetness of vanilla or the subtle nuance of a complex perfume worn by a loved one; fragrances can alter mood and brain chemistry. Fragrance chemicals are used in a wide variety of consumer products ranging from perfumes to personal care products such as creams, lotions, serums, soaps, shampoos, conditioners, cleansers and various other products, detergents and household products. In toxicological studies and safety assessment for cosmetic/perfumery ingredients, skin sensitization is a key endpoint. Despite the ban in the EU , The skin sensitizing potential of fragrance chemicals is still identified and quantified using one of the available animal test methods, such as the mice local lymph node assay (LLNA; OECD TG 429) or the guinea pig-based tests described in OECD TG 406. The European Commission is advised by Scientific Committee On Consumer Safety (SCCS) on issues related to the safety and allergenic properties of cosmetic products and ingredients(“Scientific and Technical Assessment – European Commission,” n.d.). Scientific Committee on Consumer Safety (SCCS) provides opinions on health and safety risks (chemical, biological, mechanical and other physical risks) of non-food consumer products (e.g. cosmetic products and their ingredients, toys, textiles, clothing, personal care and household products) and services (e.g. tattooing, artificial sun tanning) (“Scientific Committee on Consumer Safety (SCCS),” n.d.). SCCS takes action and makes recommendations to the EU Commission, based on the data received from International Fragrance Association (IFRA). When warranted by concerns regarding the safe use of a particular ingredient, IFRA will issue an IFRA Standard. IFRA Standards are prepared by the IFRA Scientific Committee and IFRA on the basis of the decisions made by REXPAN (The RIFM Expert Panel). The adoption of IFRA Standards includes a consultation phase of 3 – 6 months involving IFRA members, customer associations and other interested stakeholders. The risk evaluation for skin sensitization of all chemicals is carried out using the following protocols. These methods may include Murine Local Lymph Node Assays (OECD, 2010a), Guinea Pig Maximization Tests (OECD, 1992), Buehler tests (OECD, 1992) and Open/Closed Epicutaneous Tests in Guinea Pigs. Human Repeated Insult Patch Tests (HRIPT) will also be taken into account if carried out according to accepted methods (Api et al., 2014). As stated earlier, the Local Lymph Node Assay protocol on mice has been updated to OECD, TG429. “According to the current legislative status, the full marketing ban for any ingredient tested on animals for the purpose of the Cosmetics Directive EC 1223/2009, regardless of the availability of non-animal alternative test methods has come into force since March 2013. And, article 18 about Animal Testing prohibits the placing on the market of cosmetics containing ingredients or combinations of ingredients which, have been subjected to animal testing”. “The same provisions are contained in the Cosmetics Regulation, which replaced the Cosmetics Directive as of 11 July 2013. The testing ban on finished cosmetic products applies since 11 September 2004; the testing ban on ingredients or combination of ingredients applies since 11 March 2009” (“ Ban on Animal Testing – European Commission,” n.d.). Marketing ban – prohibition to market finished cosmetic products and ingredients in the EU, which were tested on animals. Upon a second contact with the hapten, T-Cells are stimulated, and that leads to a dermal inflammation. Chemical sensitizer-specific T cells do not recognise the chemical itself but instead recognise a conjugate of the chemical (hapten) in the context of a protein fragment (a peptide), which is presented to T cells by antigen-presenting cells, such as LC or DC (Mehling et al., 2012). Chemical structure helps to predict transdermal absorption, metabolism and disposition and functional groups that can influence toxicity. It is my humble suggestion that the approval of the existing, and the development of new in-vitro, in-chemico or in-silico models for the COMPLETE replacement of animal testing should be considered as a high priority by the relevant bodies and organizations. It is well recognised and accepted by the toxicologist that in-vitro cell-based assays for use as alternatives to animal testing must mimic the very complex interactions between the chemical substances and the different parts of the immune system (Mehling et al., 2012). Recently, the Human Cell Line Activation Test (h-CLAT) has been validated by the European Union Reference Laboratory for Validation of Alternative Methods (EURL ECVAM). Finally, there is not a single testing strategy, the optimal result of tests depends on available data, and can be chemical-specific. Thus, a single test as a replacement strategy for animal testing is unlikely to be most effective. I would like to emphasize that my objective here is not to criticise the validation methods/ processes, but to draw attention to the apparent ‘Double Standards’ that have resulted from the widely publicised incorporation of ‘No Animal Testing’ on cosmetic ingredients in the EU. The regulation also does not affect cosmetics and cosmetic ingredients, which are already in the marketplace, their historic animal testing data can continue to be relied on for the safety, and aren’t affected by the marketing ban and can continue to be placed on the market, despite the fact that those perfumery ingredients would have been tested on animals. In other words, fragrance ingredients which were tested on animals prior to testing ban in July 2009 and marketing ban in March 2013, can STILL be placed on the EU and global markets. The regulation also raises the question; does the prohibition cover animal testing performed for any purpose, including to fulfil the requirements of EU legislation such as REACH or for purposes of non-EU legislation? REACH regulation requires testing of those substances, which have not been previously tested, and that will add to the number of animals needed, and an increase in animal tests (Rovida & Hartung, 2009). QUESTION: “On which endpoints do you expect testing data to be most needed in the next 10 years? Please specify further by making reference to the respective OECD test protocols”. - Local Lymph Node Assay (LLNA) (EC B.42, OECD 429). The LLNA test may be replaced in 5 years by a battery of in vitro tests. Kinetic studies in vivo may become more important to improve and validate the respective in vitro models” (Perkhidmatan, 2013). It is quite evident that despite a stimulus by the EU authorities regarding no animal testing since 2004, the development and validation of alternative methods have not been sufficient for the skin sensitization test. Free from Animal Testing: Our Perfumes Are Beautiful, Safe and Natural. Made With Pure, Precious and Rare Ingredients in South Australia. 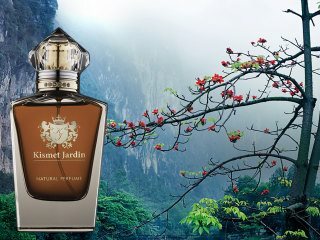 Kismet Jardin is a leader in re-establishing the age-old and harmless practices of Natural Perfumery. Pure, Precious & Rare! Perkhidmatan, T. M. (2013). 2. Q !., 5–6.